We love Nordic decoration, also for a children’s room. It is a decorative style that comes from northern European countries in which the climate, landscapes and materials typical of these areas are key points. 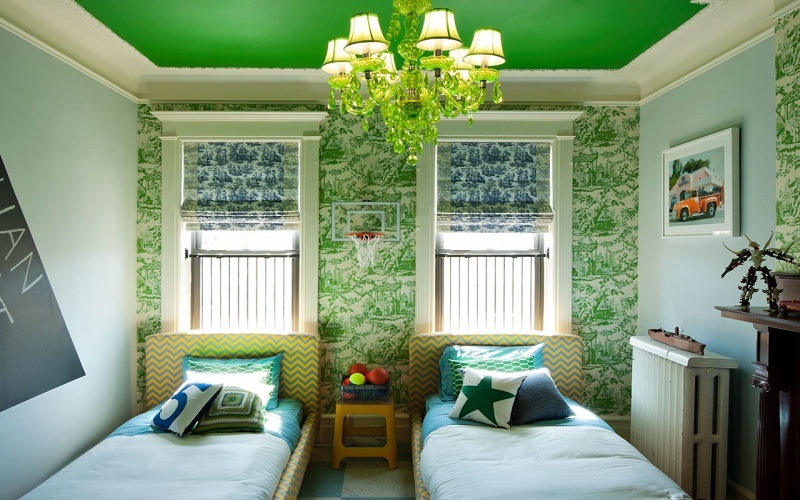 A very bright and cozy style ideal for a very special children’s room. Due to the lack of natural light, the cold winters and the long hours spent at home due to the cold weather, its decoration seeks to maximize the luminosity and warmth of the home. 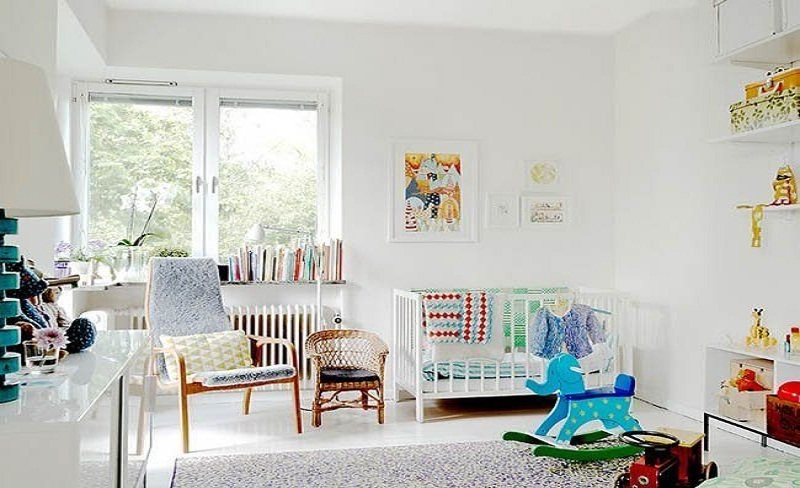 Today we tell you the keys to get a children’s room with Nordic decoration that will surely make everyone fall in love. One of the maxims of Nordic decoration is to create illuminated spaces. This is achieved with different methods, although the most practical thing is to bet on the white, on the furniture as well. Remember that the color notes are provided with details, and therefore, the larger pieces will give better results if they are white. However, it can also be combined with light wood, as it will bring warmth to the children’s room. Light colors are key in Nordic decoration. The few hours of light typical of these areas require neutral and soft tones that help accentuate the sensation of light. White is the predominant color in walls, furniture and accessories. 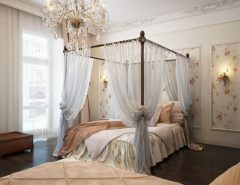 And it is always a success when we talk about a children’s room with Nordic decoration. Put on it! But if all white seems too bland, you can combine it with other neutral or pastel colors. From soft grays to pastel pinks to green or blue water. Another good idea is to bet on painting a blank wall and the lower wall in another higher tone or give prominence to a single wall with a somewhat more intense color. Take advantage of the light of the windows and do without curtains or resort to lighter fabrics that let a lot of natural light pass also helps to create more pleasant and bright spaces. And in artificial lighting, use white light with enough power to obtain generalized lighting. To create more welcoming and colorful spaces, you can complement it with some more environmental or decorative point of light such as typical colored garlands or lanterns. The little ones will love it and will give a more current and fun touch to your room. The spaces stand out for a great visual cleanliness and for a clear minimalist tendency, little recharged rooms and very well distributed to increase the sensation of spaciousness. The order is key to achieve this visual cleaning. The Nordics dress their floors with warmth. The wood finishes is one of the most typical resources, but also the rugs can help to provide a more pleasant and warm touch without a high expense. They act as thermal insulation and allow adding a texture or color note to the decoration. Normally the Nordic-style carpets tend to play with few colors, simple and geometric designs, repetitive and structured. Triangles, zigzag stripes, circles or diamonds can be excellent options for dressing the floors. They are ideal for the little ones to play on the ground, bet on them! The materials will also help us achieve a Nordic style in our children’s room. Wood is an essential part of this style. With the idea of ​​creating warmer and more comfortable spaces, the wood is introduced in furniture and decorative complements, in addition to the floors, of which we have already spoken. It is wood of clear tonalities, typical of the typical species of the Nordic areas such as: pine, maple, beech or oak. The Nordic decoration also stands out for the use of natural materials in many of the accessories: fabrics with natural fibers such as linen, wool or cotton that provide delicacy, rattan baskets or bamboo lamps can be some of the basic elements. Violincellos in your decor and get more warmth! 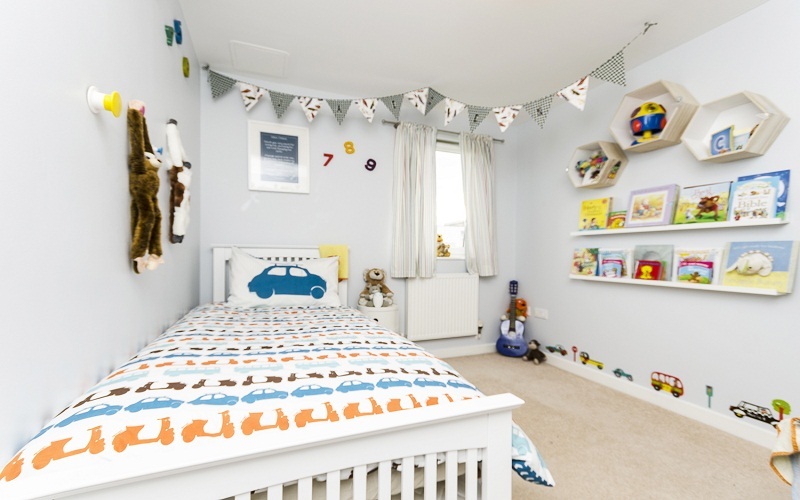 If you want children to have a great time when they are in your room, you will undoubtedly have to create a special decoration that will make them want to make this space their own, live it and enjoy it. A great option is to create a simple Nordic decoration, with basic shades in white and gray and to add original color and accessories. The Nordic style is very much in tune with nature, that’s why natural elements can not be missing. 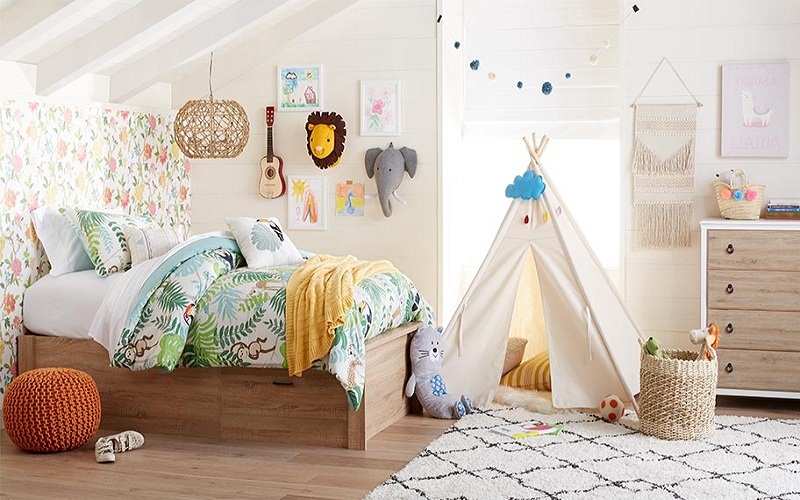 From trunks, pineapples or branches to plants, these natural touches will give warmth and naturalness to your children’s room. 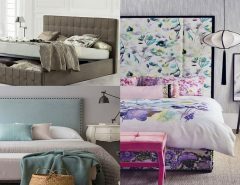 Also very common are the illustrations with forest animals such as deer, bears, foxes, squirrels … and the sheets with collections of insects, birds or flowers of different kinds. Birdhouses or trees are also very recurrent elements, as well as any element that reminds nature, always respecting it. The geometric elements is another of the classic elements of a Nordic style decoration. Geometric patterns and scratches can not be missing in textiles, walls and all kinds of accessories. From the wall papers to the cushions, they are dyed with geometry. Fortunately, we are leaving behind the trends of modular wall-to-wall solutions for children’s rooms with Nordic and decoration opting for lighter and more flexible loose parts, which can later be recycled better in the future. 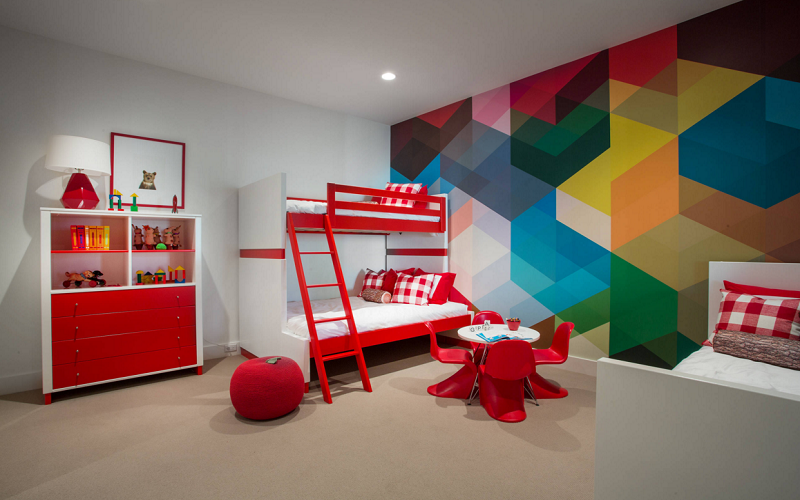 The touch of color is essential in children’s rooms, their toys will rarely be white or black, so integrating the color in the decoration will soften that contrast. Essential storage elements, from cupboards to shelves, boxes, trunks etc. 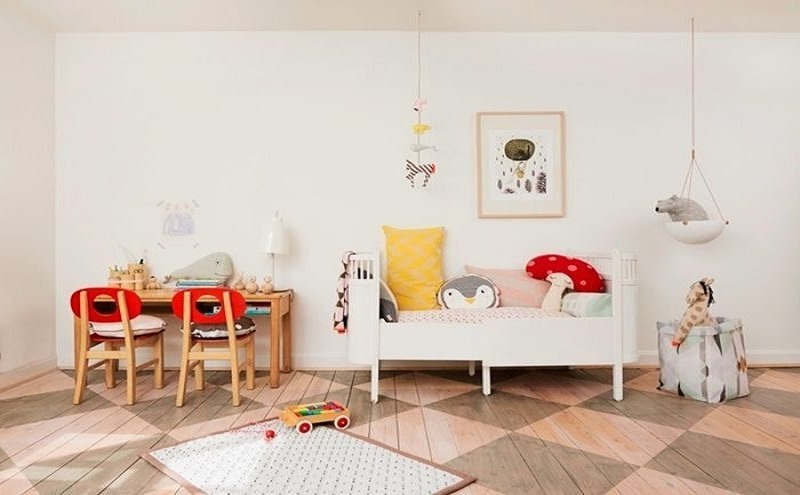 If you need to find varied ideas of Nordic style to decorate the children’s room with taste, you should take a look at these different Nordic style rooms designed and decorated with style that will surely not leave you indifferent.